Is there any word about how the construction is going down there? There will be 3.5 million arriving by 2040 with the first arrivals showing up in 2030. That is the population of Connecticut by comparison. And I don’t think the first dwellings will be grass huts as it still may be a little nippy down there until the warming really kicks in. Also, will they be an independent country? Or colonists from existing ones? So many unanswered questions for such a momentous event, but thanks to RCS, the word will be getting out! Configure them as digging machines. Have them dig down into the ice deep enough to get the the geothermal heat. Deep. Deep, deep holes. Have them build primitive shelters at the bottom of the holes. Send the warmunists there for a climate conference; and encourage those brave souls to stay there and settle. Geothermal? Nah! Too risky, might contaminate the groundwater Solar is the answer. We’ll transport everything by sailboat and bicycle. You know, you’re right. What was I thinking? The only way to power those ultra-cool robots would be fossil-fuel, nuclear, or nasty chemical batteries. Better to go all-natural. It’s for the planet. And the very thought of digging deep into Mother Gaia simply reeks of toxic masculinity. And that robot video reeks of toxic masculinity too. Which I kind of dig. So here’s another video of cool robots – trigger warning – reeks of toxic masculinity and reeks of application of actual scientific and engineering principles. Why is Big Dog making a call to prayer? Hey gregole! Why is that robot playing the bagpipe? And why is it stuck on one note? I expect that the Democrats will fully rehabilitate Harvey Weinstein and others. These men are not rapists. They labor selflessly to institute a breeding ethos among Democrat womenfolk required for the survival of the species in the high latitude colonies. 2005: The film March Of The Penguins documents Antarctica’s disturbing descent into fascism. Still, it’s great to know there’s a back-up plan! My wife and I are going to make a trial this coming januari . We hope to experience antartica for a couple off days and fully bright nights . Although the prospects of meeting a caravan may not be too bright , we shall keep you posted ……. I had friends who visited every continent. They said there were two places they regretted visiting, Antarctica and India. The lasting impression of Antarctica was an unlimited supply of frozen penguin dung everywhere they went. HAHAHA! Now that’s something I’ve never before contemplated! :) Thanks for the visual! So Antarctica is the San Francisco of the southern hemisphere? They find penguin colonies from satellites by the stains of their droppings. That is how they discovered that huge colony of about 1. 5 million Adelie penguins they had not known existed until this year. That of course happened shortly after “scientists” published a paper claiming that the population of the Adelie was collapsing and blaming it on “climate change”. Good to see how allknowing and well informed they are about population numbers. Now that the penguin population increased of Adelie increased by several thousand % overnight i wonder what excuse they will pull out of their butts to keep the collaps narrative alive. while the real warrens claim they never saw so many polar bears in their towns the gooddoers claim that they can’t find enough food because of global warming. Although the ebb and flow of all cycles have happened for time immemorial, the one constant we can count on – if/when population numbers change or shift geographically, totalitarian opportunists will always blame it on man. 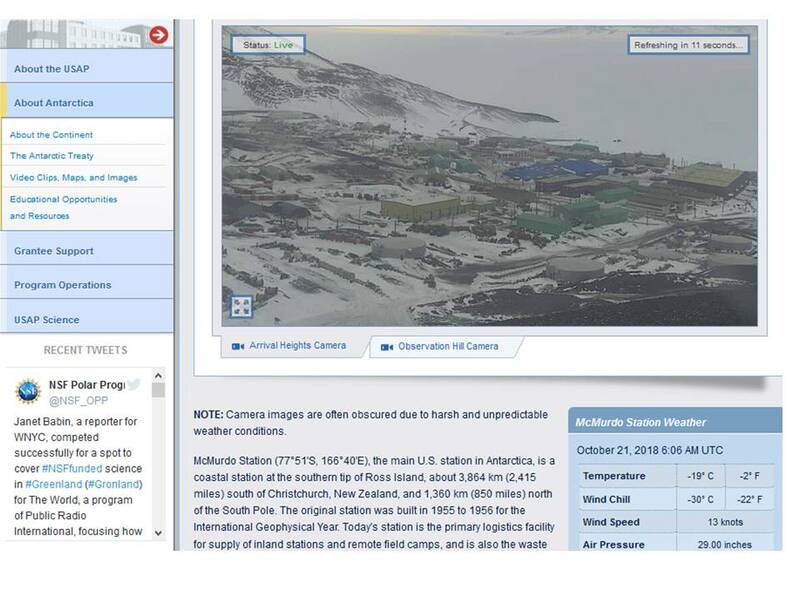 I tried to find Sir David King but could not find a phone directory for Antarctica. The average temperature of Antarctica is -40 degrees celsius. Now if my math is correct and the IPCC is correct the average temperature increase by 1.5 and 2 degrees celsius. That would make the Antarctic average temperature a balmy -38 degrees celsius. How much fossil fuel (fossil fuel is a misnomer) will it take to heat all those tin sheds the immigrants are going to live in. At least the new settlers will have plenty of fresh meat for their tables. That was a discovery article from april 1st. Those animals are as real AGW and the mole rat on the photos is a kenyan mole rat i guess. Elon Musk and Tesla are using large teams of hotheaded naked ice borers to melt tunnels for that largest Hyperloop system on the planet that will connect all of Antarctica’s refugee colonies. I thought Ms Griff was a hotheaded ice borer, but I stand corrected. The Antarctic peninsular is the warmist place because of the nearby ocean. It averages 1-2°C in January. Wheat needs 3.5-5°C to germinate but 125 degree days or a month at this temperatures. So 4° of warming will not be enough unless you live like an Eskimo. 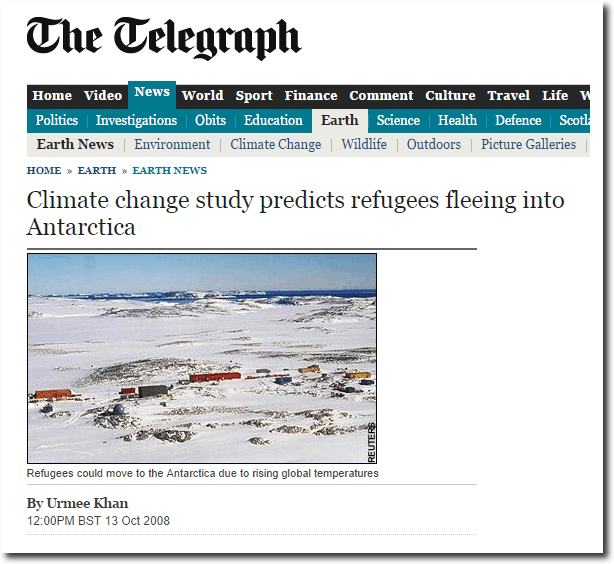 We all need to chip in and start a business selling prime Antarctic beachfront property to alarmists. But that won’t work because catastrophic sea level rise will swamp the beaches. What we really need to do is sell property 100 miles inland. If you want to get rich, you need to think outside the box! Remember, Springtime is PLANTING season!!! Be sure to get those seeds in the permafrost early and Make Antarctica Green Again!!! McMurdo Station is all about MAGA. I had high hopes for Mr. Griff and Mr. Hunt to build a lot of small homes, to help us move there in time for the predicted exodus. When are you going to get on it? What do you think about this story? The datasets from the article show that temperatures are increasing, proving that the solar activity theorists are wrong, and the climate change modelers are right. when the AGW hiatus became popular and wellknown. Hey Bill! The wood-for-trees graph definitely shows increased temperatures from 2012 to 2017, no argument. Still, the problem (for me at least) is that the various data sets from which the graph is made cannot be verified. To the best of my knowledge there has never been a paper which documents the “adjustment” process well enough to allow it to be replicated. In fact, as Tony has shown repeatedly, there seem to be very convincing reasons to believe that the adjustments are not valid, and produce a warming trend that may not be there. If the people making the adjustments are depending on the same funding as the ones making the climate models there may well be (even if unconsciously) a bias. I feel sure that you have seen the chart which shows the correlation between adjustments and CO2. I cannot think of any scientifically valid reason for such a strong correlation. Seriously, if you know of one, please explain it. Is it true that the climate terrorists Al Gore and David Suzuki were seen at the front of the line buying estate property there? I hope the weather has improved by 2030.. because it’s been a bit too grotty over the last couple of weeks for NZers to send their Summer Crew down to Scott Base.